New Jersey Auto Insurance, Homeowners Insurance, Umbrella Insurance, and All Lines of Commercial Insurance. Union County, Mountainside, NJ Independent Insurance Agency. Free New Jersey insurance quotes. for a Personal Lines quote! Life is risky enough. Why take a chance on your insurance coverage? Founded in 1993 and headquartered in the Union County town of Mountainside, New Jersey, Mark Anthony Associates, Inc. is a leader in providing quality protection for hundreds of individuals, families and businesses throughout the state of New Jersey. Our success stems from our our ability to understand our customers' coverage needs and providing superior customer service along with low rates. We represent the top-rated insurance companies throughout the country. 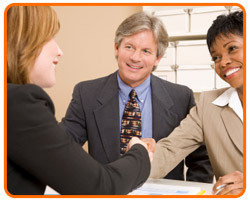 This allows us to locate the best coverage and the lowest rates and to place your policies with the company best suited to meet your unique needs..
At Mark Anthony Associates our primary job is to assist you in identifying your needs and problems, while putting together a customized plan that's simple and easy to understand. By offering world class protection for your Auto, Home, Health, Business, and Life Insurance, we make sure that you're covered today as well as in the future so that you can focus on what is important to you and your family. We'll explain the myriad insurance choices so you can look forward to a brighter, more secure future. To do this we evaluate your specific needs, find the company that will give you the best value for your dollar, while supplying a superior standard of protection. The companies we represent offer tested, reliable insurance products, excellent customer service and have an outstanding reputation for fast, fair claims service. We've made every attempt to make this site easy to navigate and accessible to the visually impaired. Should you have any problems in that regard please contact us so that we can correct it. We hope you find this website useful and we look forward to working with you. Whether you need business or personal insurance, we are here to help. We invite you to call us anytime at 908-654-9500.